If you’d like to learn more about our services and how our Sunday Supper team can help you grow your business, please leave your contact details below and we will get back to you shortly. Thank you! 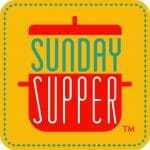 Please check out our website Sunday Supper Movement and follow us on Twitter, Facebook, Pinterest and Instagram.